Franklin Matters: “This is a step in the right direction for our unified sports programming"
“This is a step in the right direction for our unified sports programming"
"On May 17, more than 200 student-athletes gathered from nine of the 12 Hockomock League schools to celebrate inclusion, friendship, and the importance of giving the entire student body the opportunity to participate in athletics. 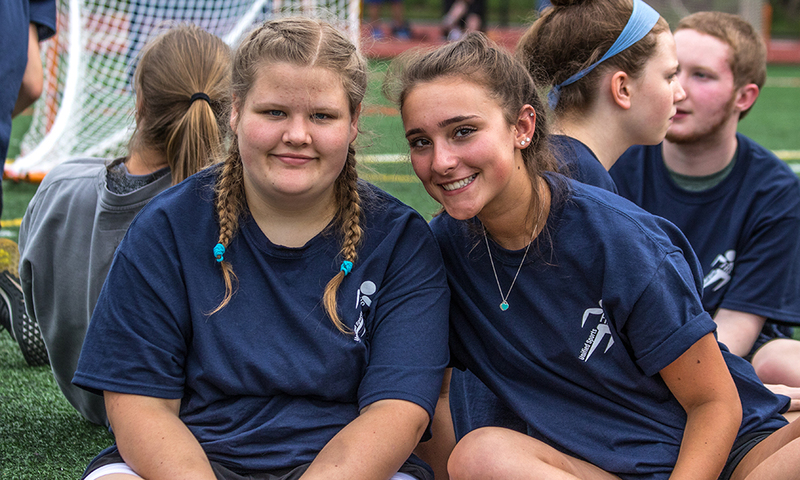 The inaugural Hockomock League Unified Track and Field Meet was a showcase of the growth of unified sports programs across the league and the emphasis that Hockomock schools have placed on opening sports up to the entire school population. That Thursday started ominously with clouds and showers leftover from the day before, but as the afternoon crept closer the temperatures went up and the sun even peeked out a few times. Not that the weather really mattered because nothing was going to diminish the enthusiasm of the athletes and the partners participating in the meet or the coaches, classmates, administrators, friends, and family members that crowded around the track to show their support. “For the athletes and the partners, it’s one thing to say you’re going to compete against another team but when you get to say this is a Hockomock thing it raises the bar and adds just that much more relevance to the event and the program,” said Franklin athletic director Tom Angelo, who started a unified sports program at Somerset-Berkeley and Plymouth North before he arrived at Franklin."